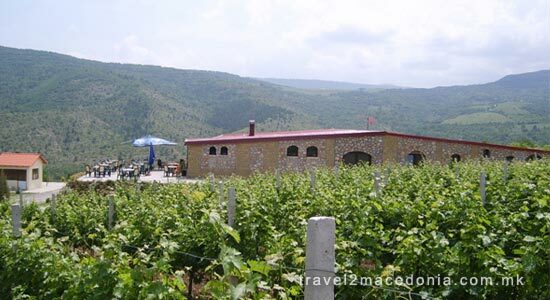 Wine tourism in Macedonia consists of visiting wineries, vineyards and restaurants known to offer unique vintages, as well as organized wine tours, wine festivals or other special events. Wine tourism plays an important role in advertising the products of the wineries across Macedonia. The region of Tikves, or the wine heart of Macedonia, has through the centuries been indisputably identified with its viniculture, good wine and grape brandy (rakija). The ancient Macedonians, lovingly grew grapevines, and worshipped Dionysus (god of wine), revelry and fertility with a special devotion. At the Roman period, Bacchus the god of wine was celebrated twice a year with great bacchanalias, and people held wine in special esteem as a drink for all classes, for the rich and for the poor. Even taxes could be paid with wine. Grape growing as a centuries-old tradition in the Povardarie and Tikves region (in Veles, Kavadarci, Negotino and Demir Kapija) has been preserved in the traditions of the everyday life in every family. In accordance with this tradition, every family has barrels for wine and grape brandy (rakija) and brandy stills. Miniatures dating from the early 10th century found in the village of Vatasa showing work in vineyards and harvesting are proof of it. The best wineyards in Macedonia are in the Tikves region (Kavadarci, Negotino and Demir Kapija), where people most often go to prune the wines on February 14th, the Day of Saint Triphun, the protector of wine growers and wine yards. Famous for his healing power against different diseases and power to exorcise evil spirits from people, according to legends, Saint Triphun healed a Roman emperor's daughter who suffered from a mental illness. With a blessing for a fruitful year, the vine is watered with red wine and rakija, and to complete the ritual there is always a bunch of thyme and bread. The celebration then continues with songs and the drinking of wine and rakija. Kavadarci's most famous export is wine, being home to the largest winery in south-eastern Europe, TIKVES. Wineyards in the Tikves region covers a total area of 120 square kilometres (46 sq mi), producing up to 85,000 tons of grapes annually. 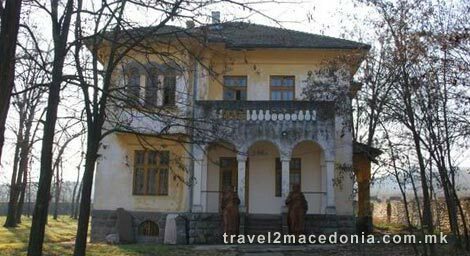 Along with Kavadarci, Negotino and Demir Kapija are also known as the home of Macedonia's best wine and rakija (brandy). The Yugoslav King Aleksandar Karadzordzevic had his summer residence and winery built in Demir Kapija. The winery is the oldest on the Balkans and still produces quality wines under the privately owned Agropin name (Winery Elenov). Along with the older is the newer winery, Popova Kula.